I have a few dishes that are a regular - roast potatoes, grilled asparagus, grilled corn (I grill a lot), cucumber salsa, and yoghurt salsa. These are the things I make when I cook a simple steak, chicken or fish. 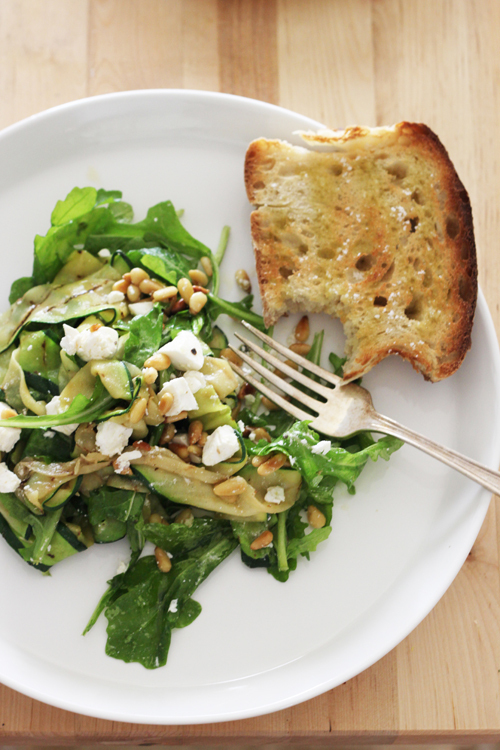 One thing I make all the time but have never blogged is my grilled zucchini salad. I make this dish a lot, and even though I have attempted to photograph it, it has always come out looking blah. And because I'm telling you about one of my favourite dishes I don't want it to look blah. I don't want you to think "yeah.. looks oh-kayyy..". 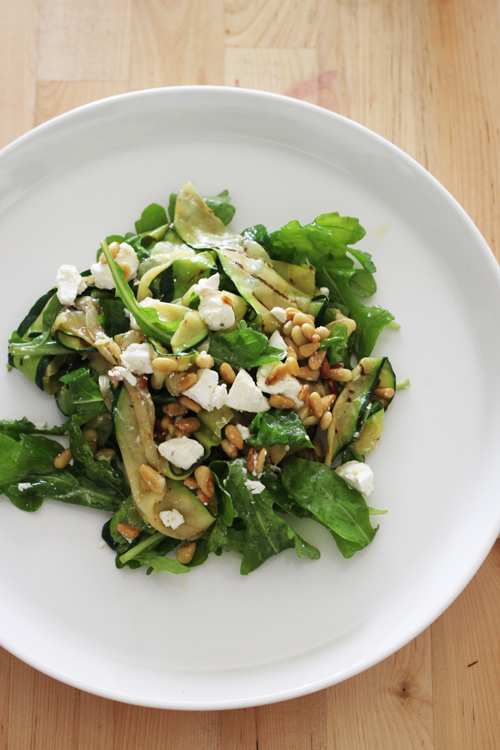 So today for lunch I made this salad. It's beautiful outside and there's plenty of light so I photographed it with no problem. And of course it's a beautiful day outside and I'm stuck inside doing homework (yeah I went back to uni again, one of the reasons why I don't post as much - lack of time!). In terms of how many people this feeds, I could esaily eat the whole thing, but when making it along with other sides it could feed up to 4 (get a really large zucchini to be safe). But for this particular one I'm going to say its a side dish for a two hungry people. 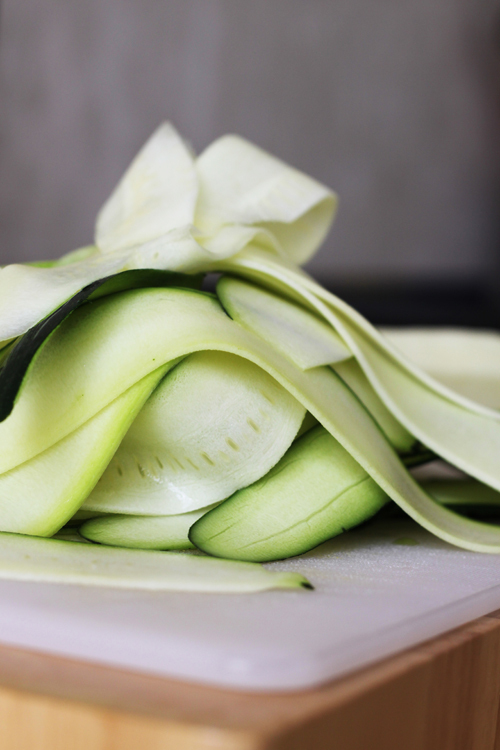 On a hot grill pan or BBQ, evenly lay the zucchini strips so none are overlapping (I don't use oil in this step, but if you find it is sticking to the grill spray a little oil on the grill, it shouldn't stick when the grill is hot). When grill marks appear (20/30 or so seconds) turn over and grill the other side. Place in a bowl and continue cooking the rest. 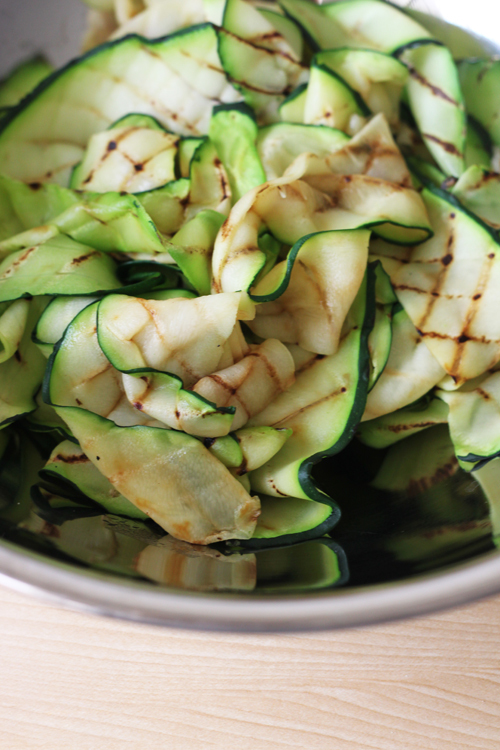 Toss the grilled zucchini in the bowl a couple of times as you cook so the heat is evenly distributed (the retained heat will soften them lightly and make them juicy). When all the zucchini is grilled, add good couple of pinches of sea salt, and a good slug of olive oil, and toss well. 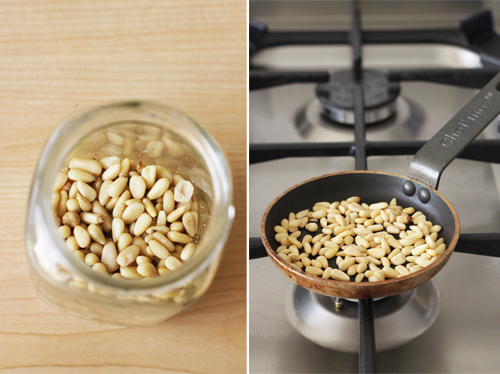 When room temperature, add the rocket, basil, crumbled feta, pine nuts and dash of vinegar, and toss lightly. Serve room temperature or slightly cooled. So pretty. I'll definitely have to remember this one when the zucchini crop comes in this summer!